Al Tours Les Acacias di La Ville-aux-Dames (Indre e Loira), soggiorni a soli €18,- a notte in bassa stagione grazie alla CampingCard ACSI. In una delle 88 piazzole itineranti del campeggio nel periodo 01-01-2019 - 04-07-2019 e 23-08-2019 - 31-12-2019 a tariffa ridotta. Oltre ad offrire prezzi vantaggiosi ai titolari della CampingCard ACSI, il campeggio accetta anche l'ACSI Club ID (sostitutivo del documento di identità). Camping tranquillo e parzialmente in ombra dove pace e cordialità sono all'ordine del giorno tutto l'anno. Chi si ferma per una sosta, o chi fa un soggiorno lungo potrà godere delle tante opportunità e attrezzature. Affacciato sulla pista Route 'Loire à Velo'. Wifi gratuito. Very pleasant site owners who are helpful, speak english and are polite. Good stopover site worth a few days to visit Tours etc. Toilet facilities could do with being updated but clean.Nice site if you have a dog with a large nature on the river Liore park half a mile away. I would return to this site. 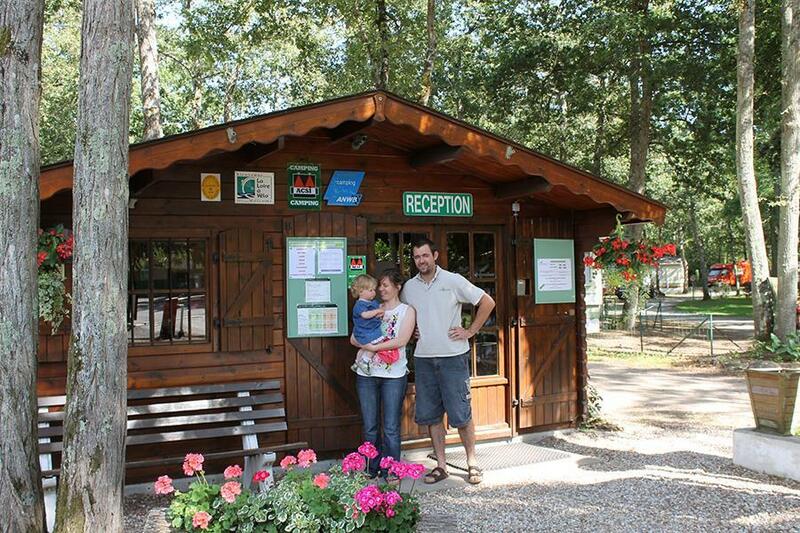 Good location by the Loire River with a beautiful walk into Tours along the riverbank. Good site with spacious pitches nestling in wooded area. Good facilities and a rustic feel. Friendly welcoming staff with good English spoken. Dog friendly. Large supermarket within easy walking distance. Lovely site. Directions not helpful, several road signs missing. Great pitch but road noise is an issue. Sun gets very hot with little breeze so go for a pitch with a bit of shade. Cycle ‘Loire a Velo’ route a bit disappointing as not much was beside the river. Staff helpful and spoke good English. We used this as an overnight stop. Friendly welcome, site is up to three star standard . Only downsides were the road noise from a busy road next to the site and it was difficult to dump grey water in our motorhome. An English couple in the pitch adjacent to ours had their bikes stolen in Tours. The site security and some neighbourhood watch signs around the village suggested it was best to make sure all your valuables were secure! Did not see this site at its best due to the weather being wet and dull. There appeared to have lots of things to do for the children in high season. A good stop over to visit Tours and to rest on your journey elsewhere. Worth mentioning is that the toilet block is heated. Nice pitches surrounded by trees. Some road noise but not intrusive. Showers and toilets heated, separate for male/female, had seats, loo paper and soap, good hot water supply. Problem with hot water in washing up area, very inconsistent and sometimes cold. Good stopover location or for Loire valley, Tours. Couldn't get bread for morning in October. Used as a stopover on the way home. Lovely site with heated toilet block. Convenient for onward travel location wise. We arrived just before the end of September when the bar and reastaurant were supposed to be open. Guess what no bar, no reastaurant, no bread and a 20 minute walk to get some. Sanitary facilities were barely adequate and need a good deep clean and refurbishment. We will not be returning. Only stayed here overnight on our way south. We were made very welcome and even given a choice of pitch. The facilities are ok and clean. We thought at first because of the road there was no where to walk but discovered cycle paths over the road. Is in a very good location for exploring the Loire valley. Will stop here again probably on our way home. Volete prenotare il campeggio Tours Les Acacias o oppure saperne di più? Potete farlo usando i seguenti dati oppure tramite il sito del campeggio. A10 uscita 21. Raggiungibile da Tours. 6 km in direz Montlouis. Ben segnalato. CampingCard ACSI invia la tua richiesta di informazioni al "Tours Les Acacias".